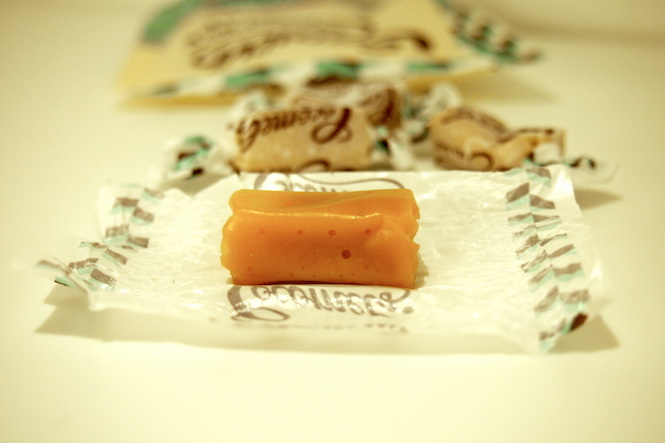 Ahh, caramels: that little pleasure in life that is just indulgent enough to not make you feel fat if you eat one, but what about six? 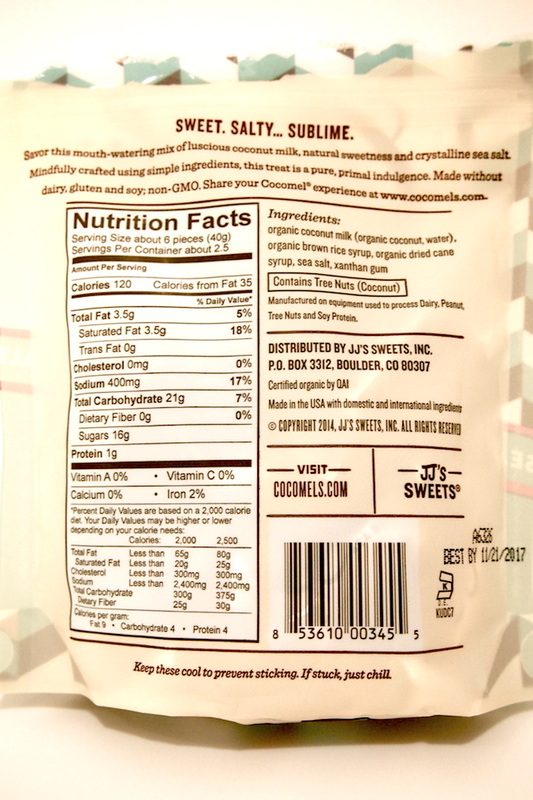 Six is the notated serving size on the packaging of Cocomels, a delightful, chewy vegan version of Werther’s that I chanced upon at my local CVS. The impish makers of these addictive candies must have known that it’s hard to eat just one… so why not? Love the slightly hawaiian/islandic hula-looking packaging! Six is also the magical number when it comes to the number of their ingredients. I’m starting to wonder if it’s a theme at the Cocomel HQ. Like: six lunch breaks a day. Six rolls of toilet paper at all time in the bathroom. Everyone who applies must have six children. 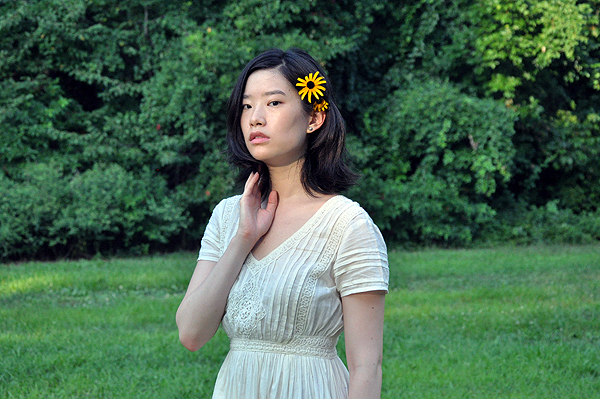 Well, if you let my imagination run wild, this is what happens. 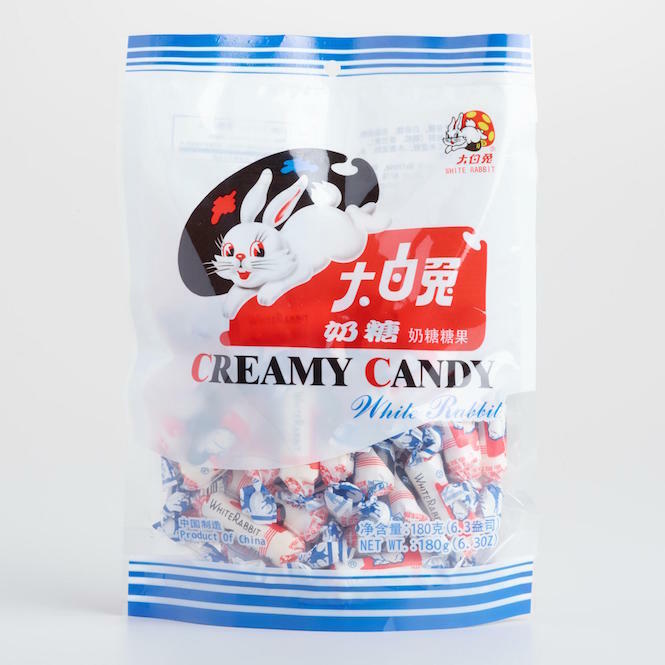 Oddly enough, the taste of Cocomels most reminds me of White Rabbit candy, a confection of yore that I’ve terribly missed as a little Taiwanese-American child. Now, if they could only make a coconut-milk version of these! Hey China, are you listening? 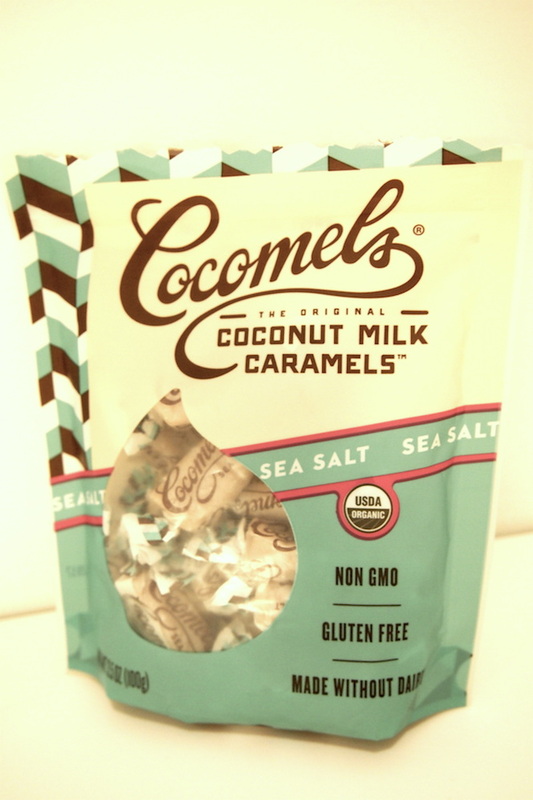 Since coconut milk is the primary ingredient in Cocomels, it’s little wonder it has such a creamy, smooth taste that melts into the familiar, luscious envelop of caramel as you chew. My coworker described it as “chewy deliciousness,” and I couldn’t agree more! 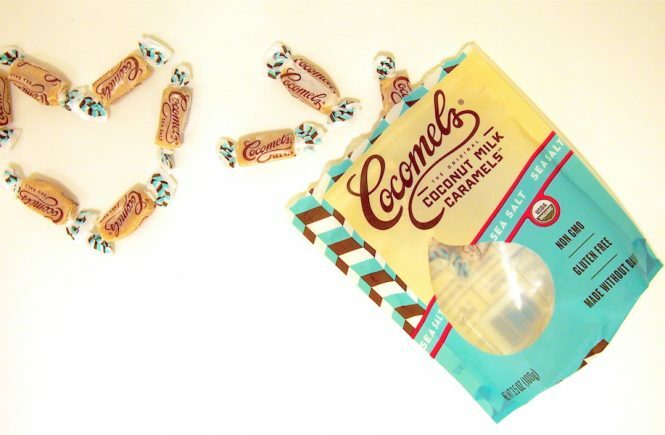 My favorite thing about Cocomels, though, is that it isn’t cloyingly saccharine like many commercial caramels can be. It has just the right balance of sweet and creamy taste, with a tiny, barely noticeable balance of saltiness via the addition of sea salt. The perfect little block of yum. Cocomels have the consistency of taffy but the stickiness of Starburst in that it does glom onto the tops of your teeth if you don’t dissolve it with a warm libation afterwards (I highly recommend pairing a helping of Cocomels with some hearty steamed soymilk!). That would be my one and only complaint, which I believe is a non-complaint since I love the way it feels as I chew. One line rhymmary: If the day is going south, pop a Cocomel in your mouth / As you chew and swallow, your happiness will follow!